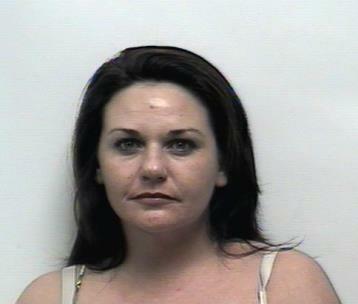 A Bradley County woman was arrested Monday with a large amount of meth and marijuana and other illegal drugs. Detectives from the Bradley County Sheriff’s Office, along with 10th Judicial Violent Crime and Drug Task Force agents, executed a narcotics search warrant at the residence of Tisha Lynn Goff on Lyles Road at 2:59 p.m.
During the search, detectives found methamphetamine and marijuana in Ms. Goff’s bedroom. Also recovered during the search of the residence were unidentified pharmaceutical grade pills, cocaine, heroin and drug paraphernalia indicating the resale of narcotics. Goff was arrested at the scene on unrelated outstanding arrest warrants. Drug charges are pending.